Pisanki, or pisanky, is the Eastern European art of "writing" on eggs in a batik process for the Easter season. The symbolism in the awakening of spring in the artform of using a stylus and molten beeswax with various dyes to write messages on eggs using symbols rather than words. Join instructor Susan Walker and her friends from Riverside Kayak Connection to learn this process. Participants must be 14 or older (under 18 must be accompanied by an adult). Preregistration required. 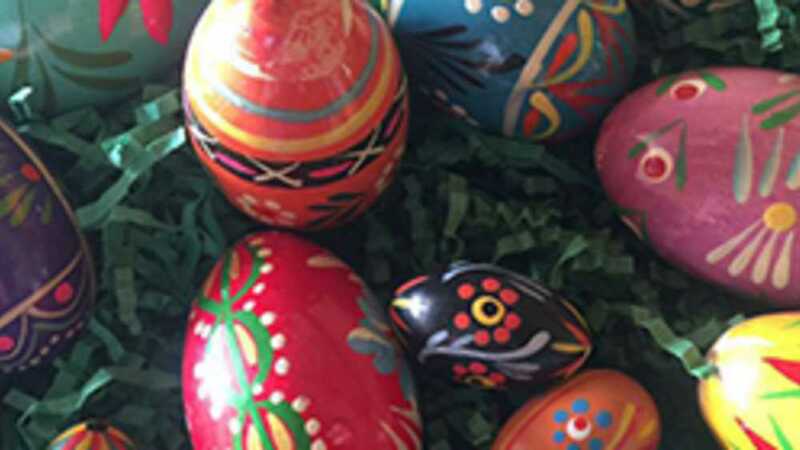 Register for Pisanki Egg Decorating.